Finally, a better way to build additions! Typically, sunroom companies require you leave an exterior door because they cannot meet structural and energy codes— that's not the case with these rooms. These can be opened to your home and far exceed the latest stringent structural and energy requirements in building codes. Add an addition as a family room, expand your kitchen, or just enjoy a new sunlit space for much less than the stick-built additions we have been building for 30-plus years. These cost 20% less than traditionally built additions, and are built in weeks rather than months, offer a lifetime guarantee, and are stronger, quieter, and much more energy efficient. Elements sunrooms from LivingSpace Sunrooms use the most advanced composite, glass, and window technology to create long-lasting four season sunrooms that are independently stable and built to endure the same conditions your home does. We pride ourselves in using only the highest quality performance materials along with years of expertise to custom engineer top-quality sunrooms for our customers. Learn more about the innovative technology we use when crafting your sunroom. Composite Technology - Composites provide far greater thermal insulation and isolation than typical aluminum, so you will lose less heat. 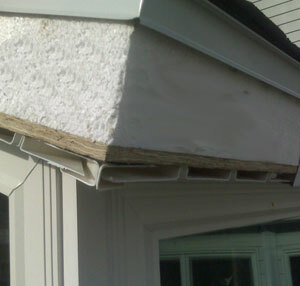 Composites won't shrink, expand or warp like typical aluminum, eliminating gaps which allow heat and water leaks. Composites won't sweat or corrode, and they are precision manufactured in our factory to fit perfectly. Glass Technology - Our LoE3–366® is spectrally selective, reflecting away furniture-fading UV rays while reflecting heat towards its source, keeping your sunroom warmer in the winter and cooler in the summer. It is also self-cleaning Neat® glass, which uses the power of the sun’s UV rays to loosen dirt so water can rinse it away, leaving windows virtually spotless. Your windows will stay cleaner longer and clean more easily. Window Technology - Elements windows are more than 800 times more thermally efficient than typical aluminum sunroom windows. Composite structural parts, high performance LoE³ glazing, and EcoGreen foam insulated framing work together to reduce heat loss through your sunroom's structure. Deck & Foundation Options - New high performance energy-efficient EcoGreen deck system offers industry-leading insulation combined with a solid foundation—and with limited pier footings needed, it provides minimal disruption to the yard. Roof System Options - A Structural Insulated Panel technology allows us to laminate different combinations of materials to create limitless architectural options to suit your tastes while maintaining insulation that exceeds IECC code requirements for sunroom additions. Interior & Exterior Finishing Options - Using a modified structural insulated panel design, the EcoGreen wall system provides structural support 25% stronger than traditional wall framing system with continuous insulation that is 30% more efficient. 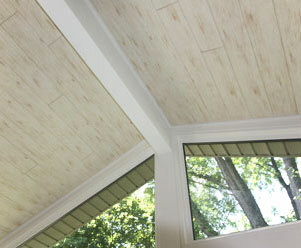 Flooring Options - Any flooring that can be used in a traditional application can be used in a sunroom with EcoGreen Deck. Because of the superior strength and insulating value of the EcoGreen deck system, it is ideal for the use of warm floor heating systems. Roof Styles - Choose from a cathedral roof with dramatic use of light and space, a more traditional gentle sloping studio roof, or easily integrate your new Elements sunroom under your existing home's architecture. We offer our EcoGreen energy-efficient roofing system as well as polycarbonate roofs. 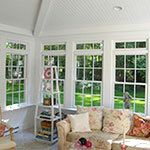 Window Styles - We can add virtually any size or style window to your sunroom. Whether you want your addition highlighted or to blend seamlessly with your existing façade, we can create the perfect solution for you. Interior/exterior - From specially insulated interior walls from the EcoGreen system to exteriors that perfectly match your home's brick exterior, we can't stress enough how limitless your customization options are. Functionality - From running cable-ready lines through your walls to installing heated floors, the possibilities to create a unique sunroom fit for the exact needs of your family never end. While most sunrooms depend on the windows and tin for structural stability, LivingSpace Sunrooms offers wall structures that are independently strong and stable. Reinforced composite structural wall parts minimize the effects of thermal expansion and contraction, eliminating unsightly and problematic gaps and offering a lifetime of smooth operation. Hurricane Header - Our dual hollow load-bearing "Hurricane Header" can easily withstand gulf coast storms or heavy snows, allowing for larger expanses of glass and larger doors and windows without compromising strength. Warmer in Winter, Cooler in Summer - High-performance composite technology combined with an insulated core minimizes energy costs and maximizes comfort. Our triple-ply fiberglass-reinforced pultruded polyurethane components are the strongest in the industry, providing far greater thermal insulation than aluminum with no shrinking, warping or corrosion. 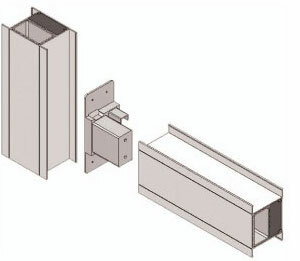 Patented Interlocking Connection System - Our unique interlocking connection system provides much greater strength and stability than standard bolt or zip screw connections. This means no "bending to fit" during installation and eliminates exposed screws, boltheads, fasteners and caulking, providing a cleaner look.